LAS VEGAS - Mother-daughter duo, The Judds, will reunite and grace the stage for Girls Night Out, a truly special nine-show residency at The Venetian Theatre inside The Venetian Las Vegas, Oct. 7-24, 2015. Produced by AEG Live, Girls Night Out will mark the iconic and multi-platinum country duo's first concerts together in nearly five years. Songs fans might hear include "Love Can Build a Bridge," "Why Not Me," "Give A Little Love" and the residency's signature song "Girls Night Out" as well as solo numbers such as Wynonna's "No One Else on Earth" and "I Saw The Light." Girls Night Out will boast an all-new show created specifically for the Las Vegas audience featuring a set list handpicked by Wynonna and Naomi. Performances will take place Oct. 7, 10, 13, 14, 16, 17, 21, 23 and 24. 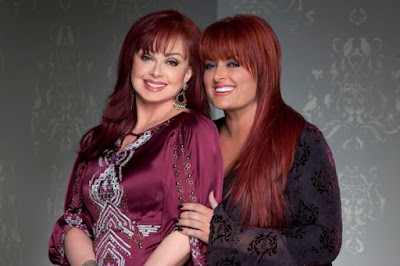 "Over the years people have asked me about a Judds reunion and I have always said the door is open," Wynonna shared. "When this opportunity was presented to me, I looked at it as an incredible chance to celebrate my mom. I have a new album coming out soon and this is the perfect way to honor the roots that gave me the wings to fly." "This show is for the fans - the fans that I have missed every single day since leaving the stage," added Naomi. "Every artist goes through a time in their career where they feel that it's time to call it quits, but once it's in your blood and you're still able to do it, you can't not do it. It will be the thrill of my life to join Wynonna on the stage again in Las Vegas, the entertainment capital of the world!" Since landing their first chart-topping hit "Mama, He's Crazy" in 1984, the pair has earned 14 No. 1 hits and more than 60 industry awards including five GRAMMYs, nine CMA Awards and eight ACM Awards. During the 2013 ACM Honors, The Judds were presented with the Academy of Country Music's Cliffie Stone Pioneer Award at the famed Ryman Auditorium in Nashville. With this award, the duo joined the ranks of Dolly Parton, Loretta Lynn, Conway Twitty and many more as significant trailblazers in the country music genre. Currently celebrating the 25th anniversary of their fifth and final studio album Love Can Build a Bridge, The Judds have sold more than 20 million albums to date. In addition to successful music careers, Naomi and Wynonna are both bestselling authors, prominent humanitarians and TV stars. Tickets start at $59.50 (plus applicable fees) and go on sale Friday, Aug. 28 at 10 a.m. PDT at any Venetian or Palazzo Box Office, online at www.venetian.com/thejudds or by calling (702) 414-9000 or (866) 641-7469.